Three tenants leased up the building at 633 CTC Blvd. in Louisville. Etkin Johnson Real Estate Partners leased a new 153,018-square-foot speculative building at the Colorado Technology Center in Louisville, triggering construction of a 400,000-sf industrial/flex campus at CTC. The new speculative three-building industrial/flex campus – dubbed Louisville Corporate Campus at CTC – will be constructed on a 33.12-acre parcel purchased by the company and annexed into the CTC earlier this year. Like other Etkin Johnson properties in the area, Louisville Corporate Campus at CTC will feature 24-foot ceilings, heavy power, loading docks and an energy-efficient design. The campus comes on the heels of completion and lease-up of 633 CTC Blvd., a 153,018-sf spec building, to three tenants. The Keystone Group is leasing 52,336 sf of space, built out to accommodate offices, a showroom and distribution center. The family owned and operated company, currently located in Erie, specializes in LED safety flares, LED work lights and sun shades. The company is expected to move into the new space in January. Molecular Products, a world leader in the design and manufacturing of life-critical devices for the treatment of breathable gases, will occupy 63,030 sf in the new building. Multiple tenant improvements will be made to accommodate heavy manufacturing, laboratory work and office space. Molecular Products was under lease for space at Etkin Johnson’s property at 2000 Taylor Ave. in CTC, but required additional square footage to consolidate two business operations. Wild Goose Canning is leasing 37,652 sf of office, warehouse and manufacturing space in the new building. This Boulder company, which plans to move in January, offers innovative canning systems for craft beer, cider, wine, coffee, spirits and other beverages. The company is relocating from its current Boulder location due to limited expansion capabilities in that market. Etkin Johnson purchased the 12.2-acre 633 CTC Blvd. property in 2015 from Hill Properties for $1.98 million ($3.72 per sf). 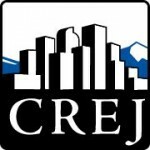 The company currently owns nearly 5 million sf in Colorado. Chris Boston and Michael-Ryan McCarty from Gibbons-White represented The Keystone Group in the transaction. Eric Brynestad and David Shirazi from JLL represented Molecular Products. Aaron Hafliger from Savills Studley and Chad Kollar from Cresa Partners represented Wild Goose Canning.